"The best book to have been written about the Vietnam War" (The New York Times Book Review); an instant classic straight from the front lines. From its terrifying opening pages to its final eloquent words, Dispatches makes us see, in unforgettable and unflinching detail, the chaos and fervor of the war and the surreal insanity of life in that singular combat zone. Michael Herr's unsparing, unorthodox retellings of the day-to-day events in Vietnam take on the force of poetry, rendering clarity from one of the most incomprehensible and nightmarish events of our time. 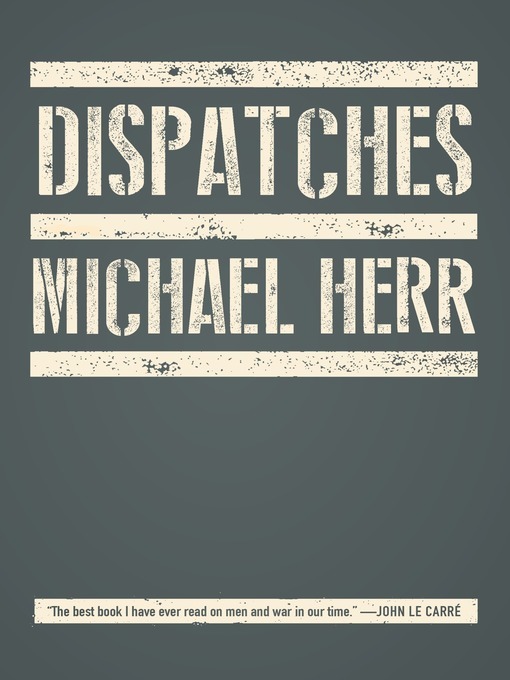 Dispatches is among the most blistering and compassionate accounts of war in our literature.